The Organic Harvest personal care brand based in India recently completed five successful years of its successful working. The company was brought into existence in 2013 to promote the concept of safe skin. An intelligent use of plants grown without pesticides and chemicals instigated the name Organic Harvest. 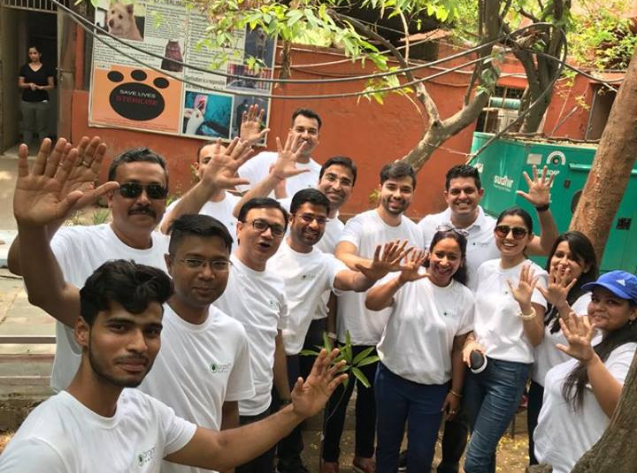 The company celebrated its five successful years organizing a plantation drive by its employees, and contributed to the greens of Delhi. The trees that were planted included mulberry, guava and pomegranate at the plantation activity took place at Sanjay Gandhi Animal Care Center, Delhi. As Organic Harvest products are strictly against animal testing, the Sanjay Gandhi Animal Care Center venue was carefully chosen for the plantation drive. Along with this, the company also made 5 promises to its customers in its 5th year. These five purity promises are 1) No harsh chemicals, 2) No animal ingredients, 3) No parabens, 4) No mineral oils and 5) No pesticides in the products. These are promises that capture the building blocks of the brand Organic Harvest. The five year anniversary celebrations reached all the stores of Organic Harvest and consumers were given exclusive Organic Harvest gift hampers, with free hand spas and other discount vouchers. Organic Harvest products can be purchased online and from over 5,000 beauty stores across India.